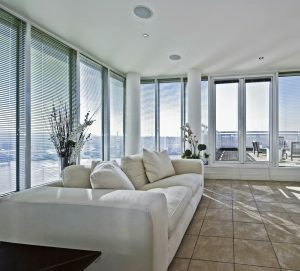 Traditional whole-home audio systems pumped music through wired speakers in walls and ceilings. They were a highlight of high-end homes in the ’80s and ’90s. However, you don’t need to spend tens of thousands of dollars for a high-quality audio system in your home anymore. Today’s wireless technology options fit every budget and every room — even your bathroom! A combination of Bluetooth- and Wi-Fi–connected devices allow you to install and set up a professional-sounding system in minutes. Plus, the lack of in-wall wiring lets you easily move your speakers from room to room — and most importantly, take them with you if you move. Here are three whole-home audio options to consider. Audio streaming devices plug into your existing speakers and can be synchronized throughout your home. For less than $500 you can purchase three or four audio streaming devices, such as the Google Home Mini or the Echo Dot, and connect them to low-cost portable speakers. These devices allow you to stream music from your favorite online services or your personal collection through a computer, smartphone, or tablet. The best part is you can synchronize them to give you a true whole-home audio experience: You can stop and start a song from any room, and the devices will simultaneously play the same audio throughout the entire house. As a bonus, many of these devices have voice-control capability. New smart light bulbs double as speakers — even in recessed ceiling fixtures. For a serious cool factor — not to mention a complete lack of big bulky speakers, cables, and power cords — set up your whole-home audio through your light bulbs. Light bulb speakers are similar to in-ceiling speakers but with a lot less hassle and expense. 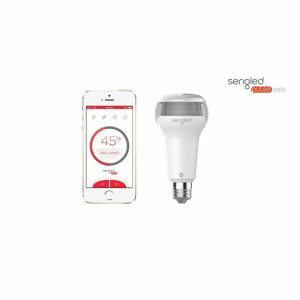 Sengled offers BR30 LED light bulbs with built-in wireless Bluetooth speakers powered by JBL, a well-known speaker manufacturer. Just install them like any other light bulb, wirelessly connect to them from a Bluetooth-enabled phone, tablet, or computer, and listen to music, podcasts, and radio stations. Assuming 3 hours of use each day, the LED light bulbs can last up to 15 years. You can install these smart bulbs almost anywhere you have a light socket. A smartphone app controls the light and volume, and you can connect your music streaming accounts (such as Pandora and Spotify) through it, too. Up to eight bulbs can be paired with one another to give you true multichannel audio, distributable over multiple speakers for each level of your home. At about $70 per bulb, you can outfit a home for less than $1,000. In-ceiling wireless speakers create a minimalist look while delivering high-quality sound. If you have a little more cash to spend and want better audio quality, consider an integrated wireless audio system with a speaker in every room. There are different sizes for smaller and larger rooms, as well as the option of a subwoofer, amp connect, and sound bar that can give you surround sound for your home theater setup. Many systems are compatible with in-ceiling speakers, so you can still get that minimalist, uncluttered look. A whole house set-up will likely set you back $5,000, starting at around $200 for the smallest speakers and going up to $700 for a sound bar. 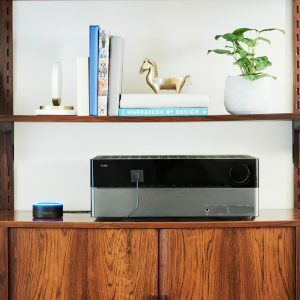 Between excellent sound quality, no in-wall wiring (each device works with a power cable and connects through a built-in wireless network), and direct access to a wide array of streaming music services, these systems are a big step up from having a few Bluetooth speakers around the house. A Bluetooth-enabled bathroom fan lets you stream music in your bathroom wire-free. No matter which option you choose, the one place you can’t put most regular speakers is in the bathroom—at least not long term. Moisture and humidity can cause serious issues with the hardware. 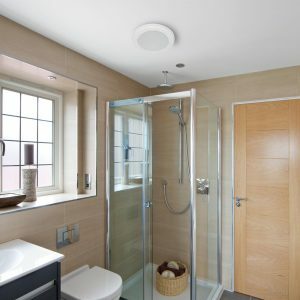 An inexpensive solution for pumping audio into the most used room in the house is a Bluetooth bathroom fan. These fans are specifically designed to be waterproof, and the fan itself is quiet enough for you to hear the audio clearly — something not always possible with a stand-alone speaker in your bathroom. For about $100, you can switch out your existing bathroom fan for one with an integrated Bluetooth-enabled speaker and wirelessly stream audio from a smartphone, tablet, or computer into the bathroom. The Bluetooth speaker is integrated directly into the bath fan wiring, so there’s no need to plug it in to recharge it the way you would have to with a stand-alone speaker. As a mom and blogger, Jennifer Tuohy writes about living green, DIY projects, and innovative technologies. These technologies include smart home products like the Bluetooth bath fan featured in this article, which is available here on HomeDepot.com.